With humble beginnings as a re-furbishing ancillary unit, we have evolved to be a custom fabrication manufacturer with more than 15 years of experience providing solutions for a multitude of industries. 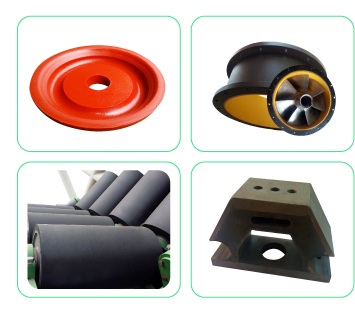 We are a one-stop solution for all your polymer (polyurethane, rubber and engineering plastic) needs. Whatever fabricating requirements you may have, we can provide accurately-manufactured, on-time finished products to keep your lines running. We serve a wide range of industries including; food and pharmaceutical, water treatment, chemical, brewing, mining and quarrying, power generation, packaging, recycling and distribution. Our customers range from multinational blue chip organisations through to sole traders, with every customer receiving the very highest care and attention from our dedicated sales staff. We strive to build our reputation by working in partnership with customers for their long term cost efficiency. AT Group work closely with different functional departments and bring a high level of experience in troubleshooting. Our prime objective is to help the customer maintain a competitive advantage in their market place.